In the height of summer, when the wind and the sea are calm, the waters around the Pefkos beaches become crystal clear, making for ideal snorkelling conditions. You could purchase a good snorkel before travelling (see bottom of page), or buy a cheap but adequate one from any of the supermarkets around the village. Expect to pay around 10 Euros. What you'll see will depend on when you are here. 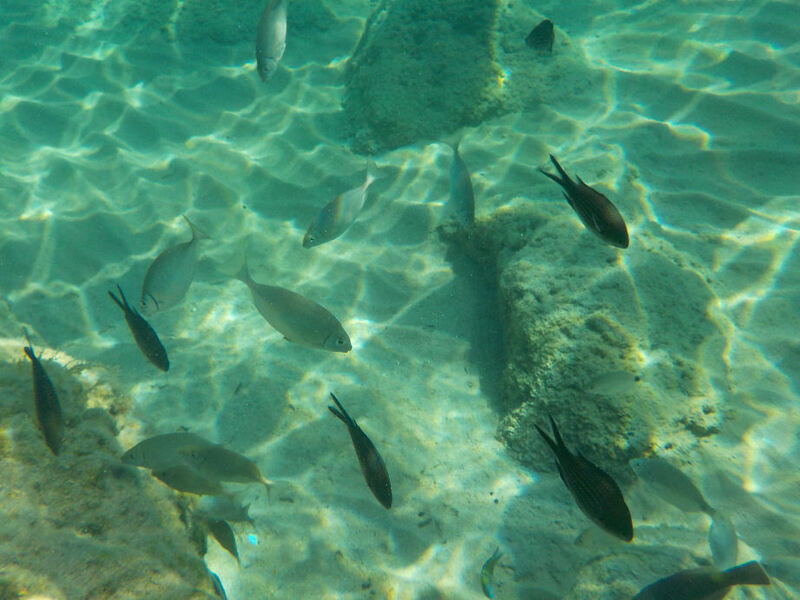 If you are a complete beginner to snorkelling, Pefkos is ideal as the beach gently slopes out to see and there's some rocky areas, where you are certain to see some interesting fish. 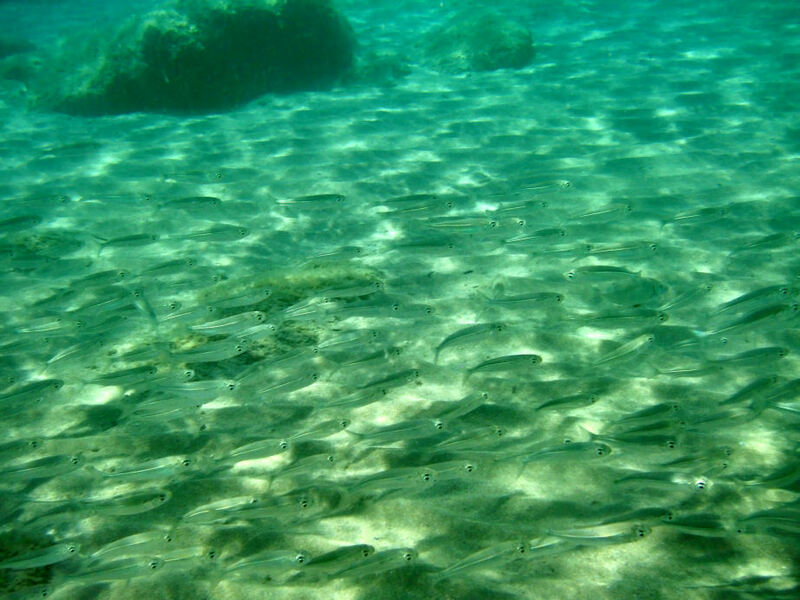 Lot's of schools of young fish about an inch long move up and down the beach even just a couple of metres from the beach. Then ranging in size from two to five inches you'll see an abundance of varieties of fish once you're at waist depth. The small black ones are Damsel Fish. The slim light coloured disk shaped ones are several varieties of Sea Bream. Lots of small creatures and invertibrates colonise the rocks. You find anenomes, crabs, shell fish and some tiny beautiful fish here. 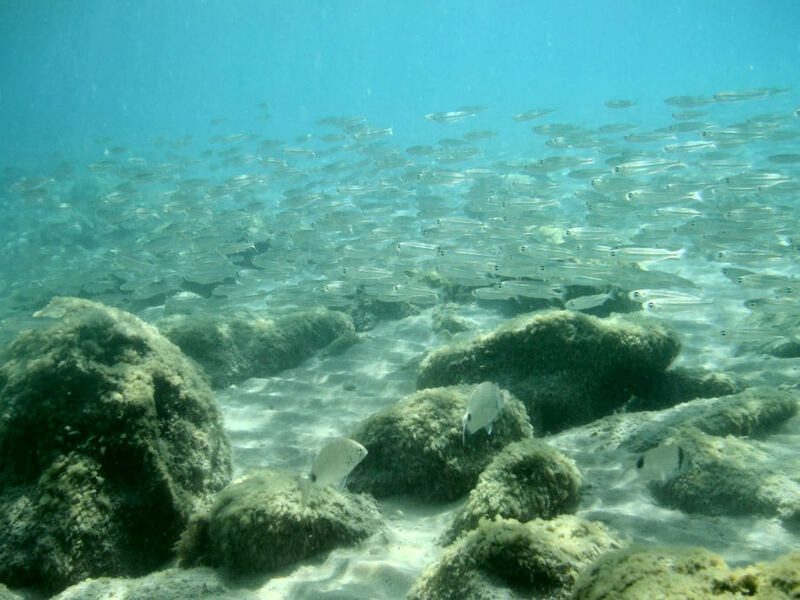 Lots of fish stay close to the rocks, as they provide a quick hiding place if something threatens them. A quick word on safety; snorkelling is best when the water is relatively clear and still. Don't snorkel close to rocks when waves are bigger, as the water moves up and down quickly on the rocks. If venturing into deeper waters, it's best to have someone else with you. 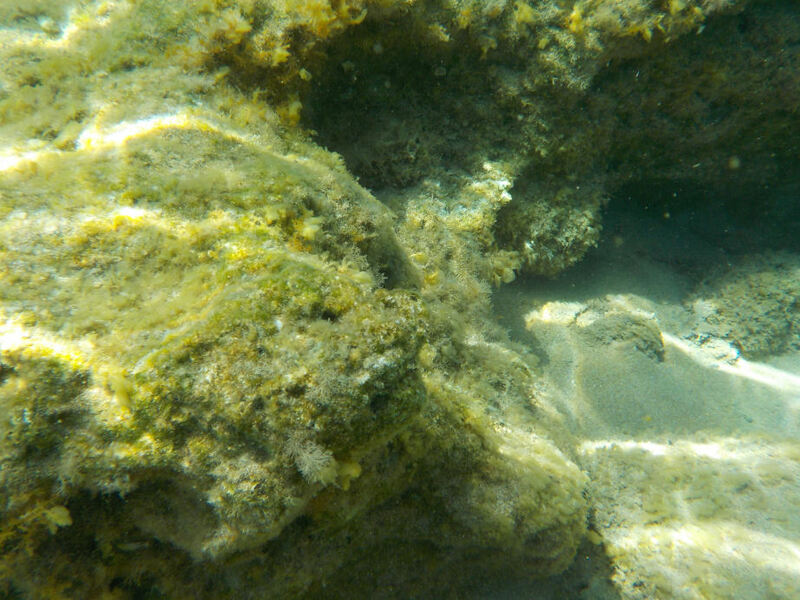 But snorkelling in shallow water off Pefkos is very safe - have fun! If you liked this page you might like our Fish Species and beaches pages.